The department's Food Safety Inspection Service said Saturday that the problem was discovered after four customers complained about metal objects in Hormel canned products. FSIS did not say how the pieces of metal could get into the products. 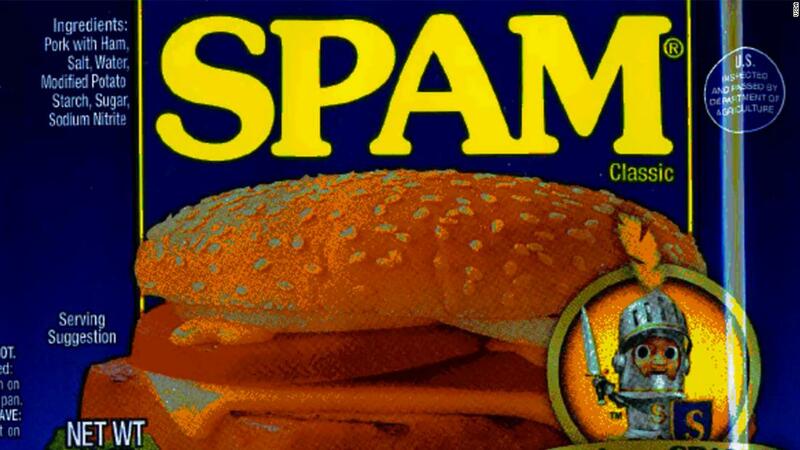 Throughout the US, 12 ounce metal cans bearing the inscription "SPAM Classic" labeled "EST 199N" should not be consumed due to the risk of minor oral injury, FSIS said. The cans have a "best by" date of February 2021 and carry the following production codes: F020881, F020882, F020883, F020884, F020885, F020886, F020887, F020888 and F020889. 2 ounce metal cans contain "Hormel Food Black Label Luncheon Loaf". The recalled cans are marked "Best By" in February 2021 and carry the production codes F02098 and F02108. The products should be immediately thrown away or returned to the place of purchase, FSIS said. In a statement, Hormel said that it recalled the products "with great caution" and that "the health and safety of consumers is our main concern." In 2016, Hormel voluntarily recalled 40 cases of Dinty Moore beef back stew – also due to possible contamination by "foreign materials".